After a year and some months, the beast is finished. 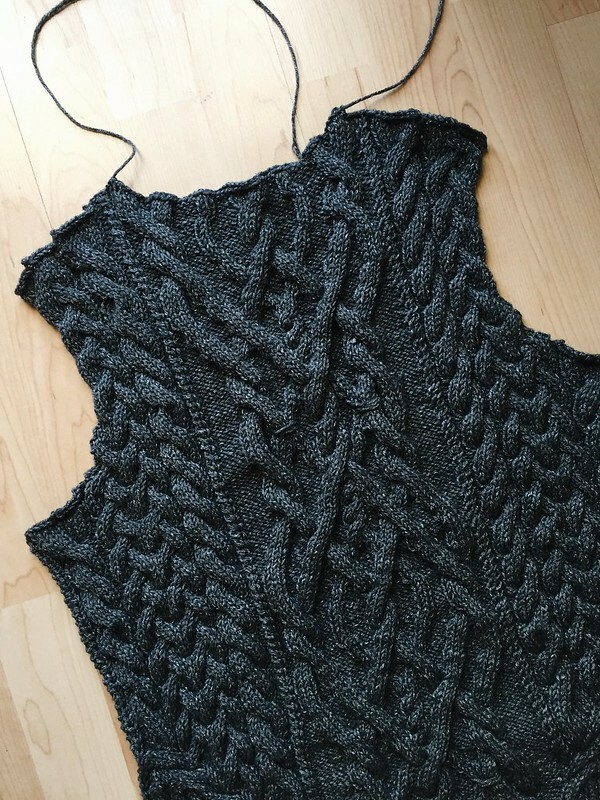 I learned more than I care to admit with this sweater, one thing being a bias bind off. 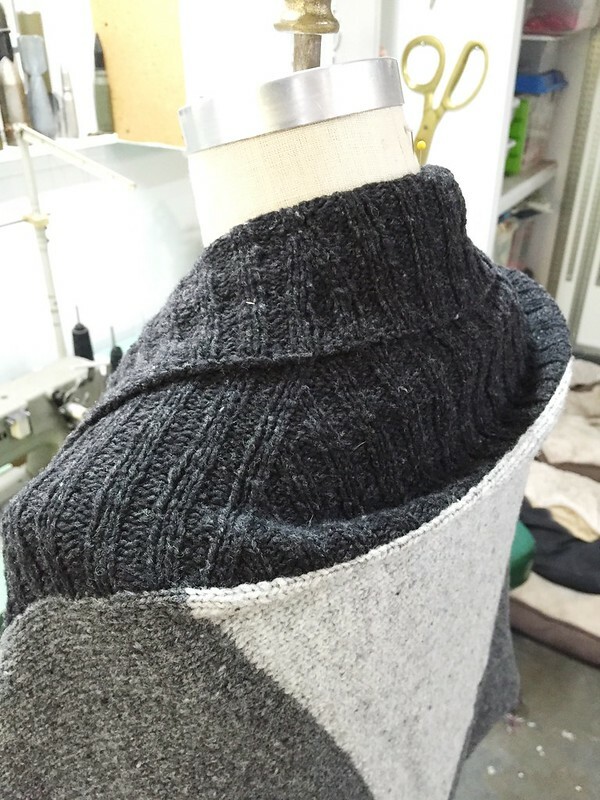 Instead of the stair step shape you normally get when binding off (left shoulder below) you get a smooth one (right shoulder) and it makes the seaming process so much easier. Oh how I wish I knew of this sooner! I also got over my fear of straying from patterns. I’m really picky when it comes to necklines and knew right off the bat the back had to be dropped. Straight ones from the HPS are just not done. The weight of the sweater would have pulled the neck down a little but not enough for my comfort. I opted for M1L and M1R instead of YOs for the side cable increases. Personal preference really, the hole-y look just didn’t go with the rest of the sweater. If you decide to do this, make sure you’re working the M1Ls on the right side and M1Rs on the left or you’ll get framing along the cable. Thanks to Radiolazy’s notes on Ravelry, this was caught early-ish and only done on the back. I decided to live with the mistakes (for once!) and corrected myself on the front. 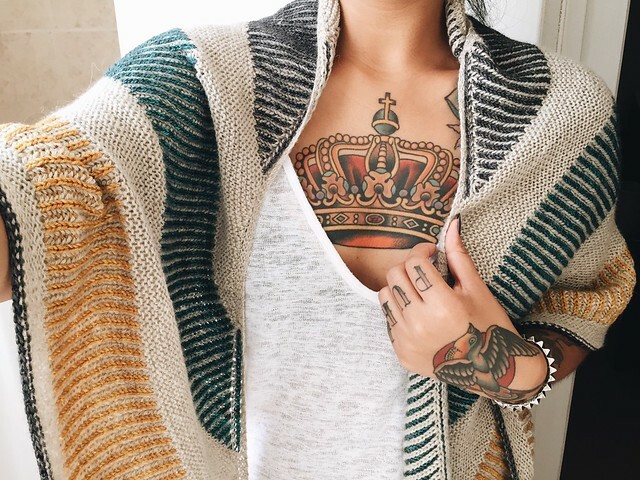 Ugh, I love this sweater so much. It’s helped me through some tough times and is one of those projects that’ll always hold a special place in my heart. I’m sure I’ll cry at least once every time I wear it. These past few weeks were tough and really, really pushed my limits. A car accident left me with a fractured foot and that whole ordeal triggered something because I was nailed with an infection and flu on top of that. When I thought it couldn’t get any worse, my body decided it wasn’t really cool with the medication after all and rejected it. Oof. There was an upside though! 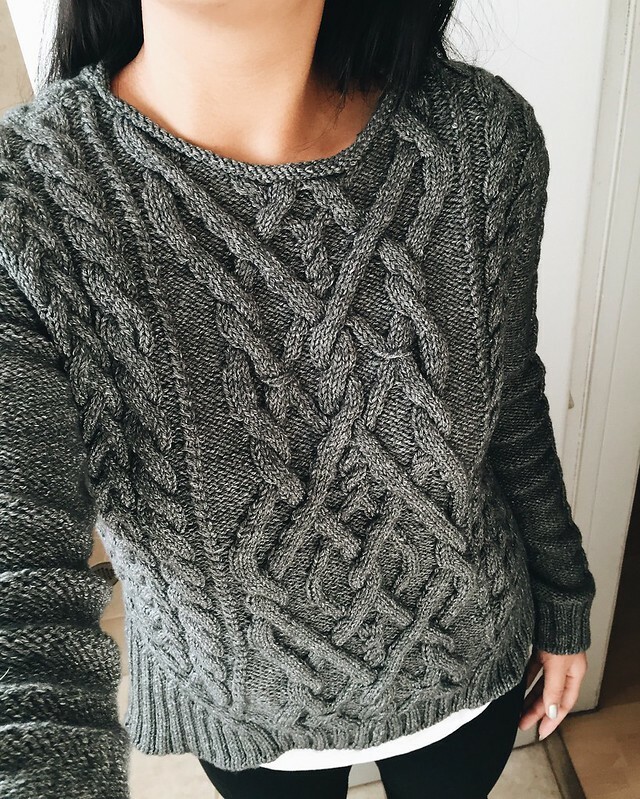 I was able to knit. All day long. 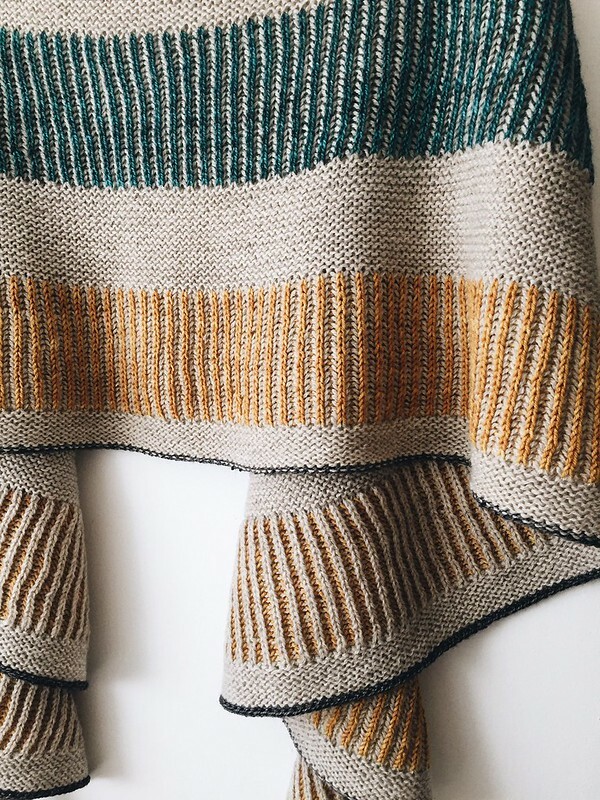 I mean, I could’ve blocked sweaters with all the tears I shed but I was alive and doing something I love. 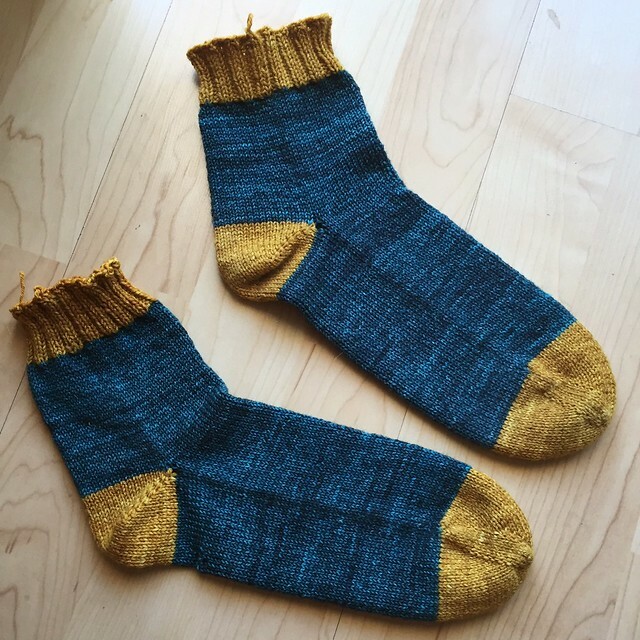 I decided a plain pair of socks with left over Tosh would be perfect. Simple enough to take to appointments and I wouldn’t have to worry about row count since they were worked two at a time. 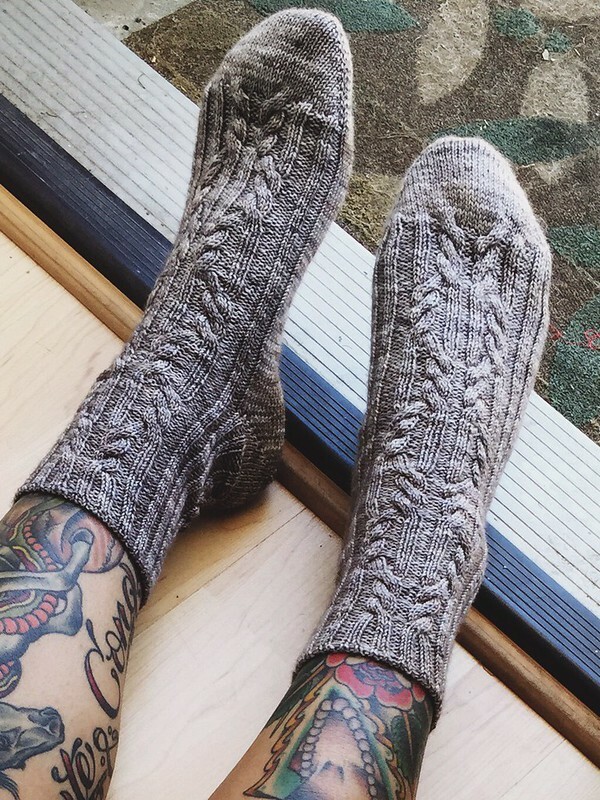 I started another pair and already have plans for the next two. They’re just such good take-along projects that don’t require commitment and allow me to use fun, ridiculous colors I wouldn’t wear otherwise. Hope everyone’s well and avoiding the sickies!!! 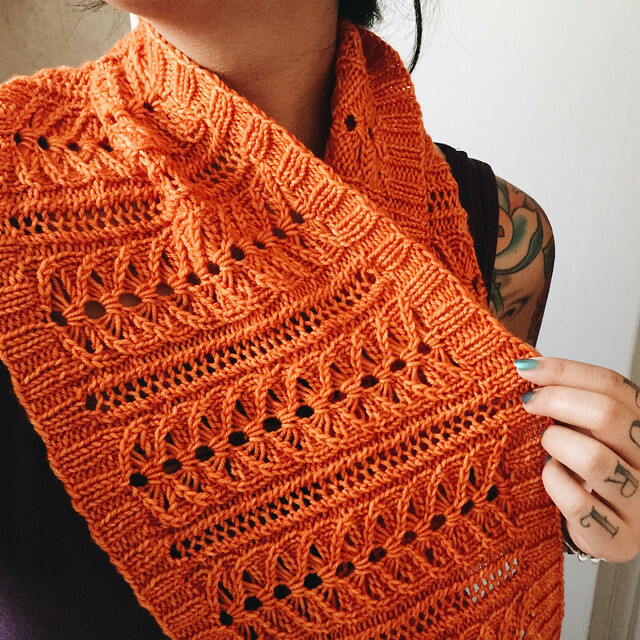 This is definitely one of my favorite FO’s. Completely unexpected because in true Iz fashion, I hated it at the beginning. The main color was working up so much darker than the cone! Betrayal! I had such a “meh” feeling as I cast off. I even said out loud, “now what?” as I pulled the yarn through the last stitch. It wasn’t until I draped it over my shoulders that my heart exploded. I love it, I love it, I love it. I swore I wasn’t a shawl person. The word alone made me cringe. But hot damn I’ll wear the crap out of this. 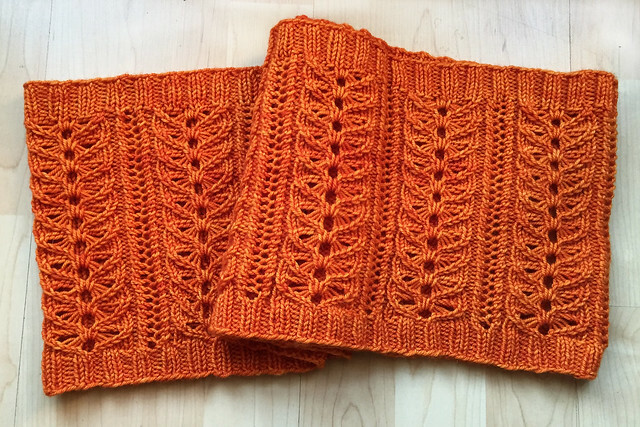 The only thing I would change if I were to do it again (and I probably will) is work one more row of garter before the border. 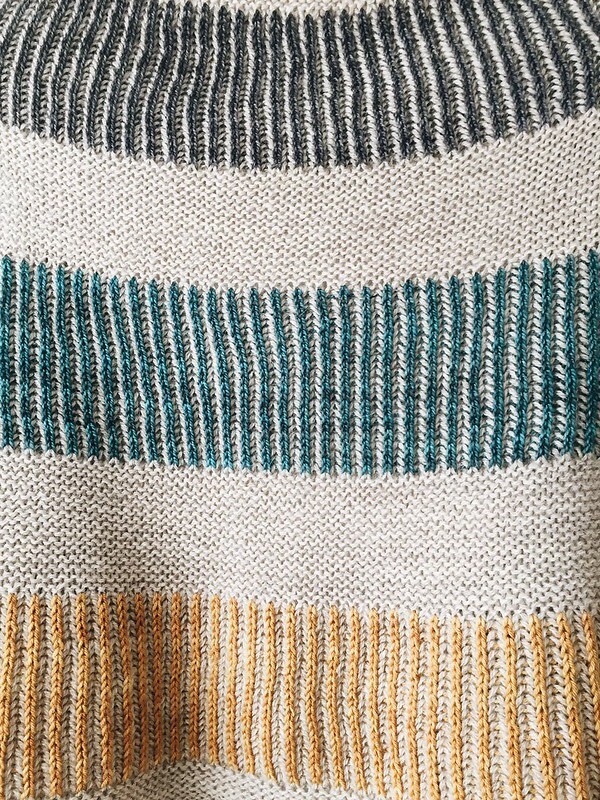 I favor the side where the knits are my contrast colors and would have rather the MC purl bumps show on the opposite side. So so pleased. Happy Monday everyone! 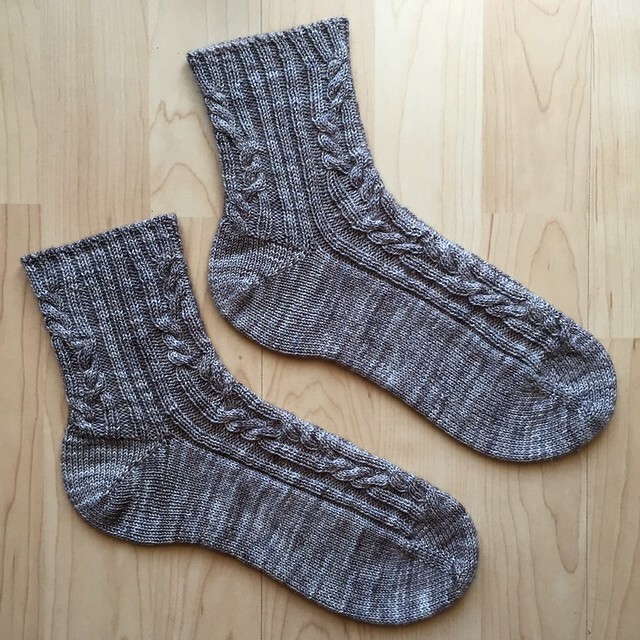 These are the “Boyfriend Socks” by Alice Bell. 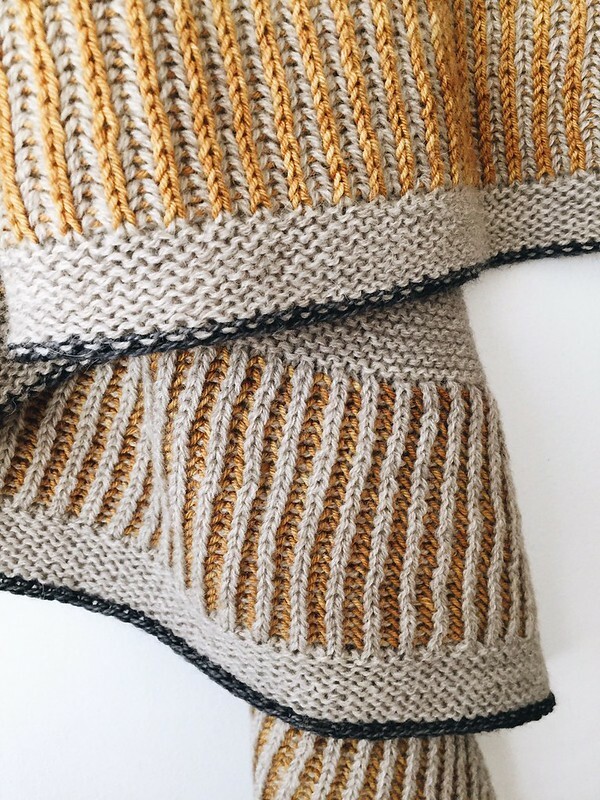 I used Madeline Tosh Sock but I’m starting to fall out of love with this yarn–not enough give and way, way too splitty. 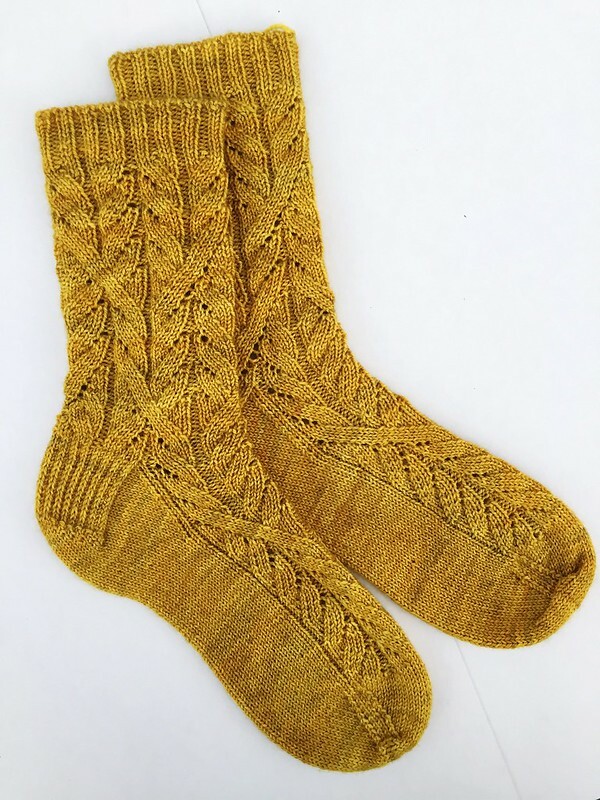 I’d never done a short-row heel before this but it’s my new heel of choice. So much easier to work on one circular needle than a gusset and flap! If you have a high-instep it might not be comfortable though. 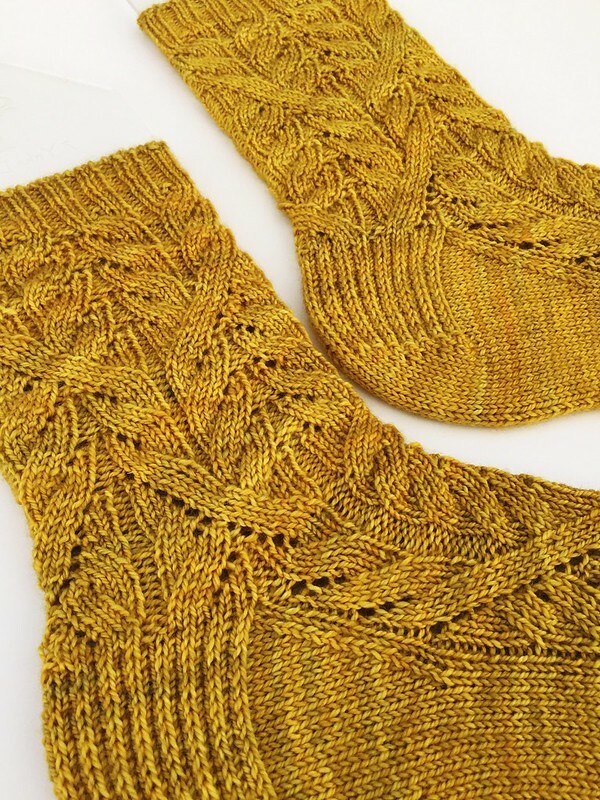 I left more stitches between the wraps (16 instead of the suggested 12) for a wider and shorter heel. 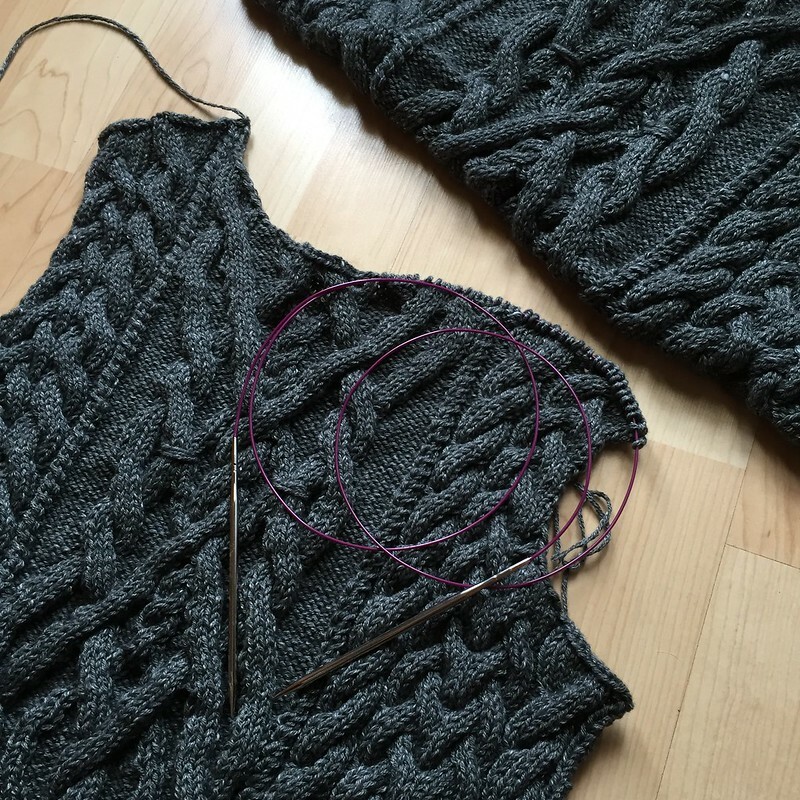 The pattern called for 1×1 rib but I opted for 2X2 (k2tog/ssk the extra purl stitches) and a tubular bind off. It’s more time consuming but I think it’s the prettiest option with the most stretch. I’m really pleased with how they turned out but I don’t think anything will ever top my happy socks. 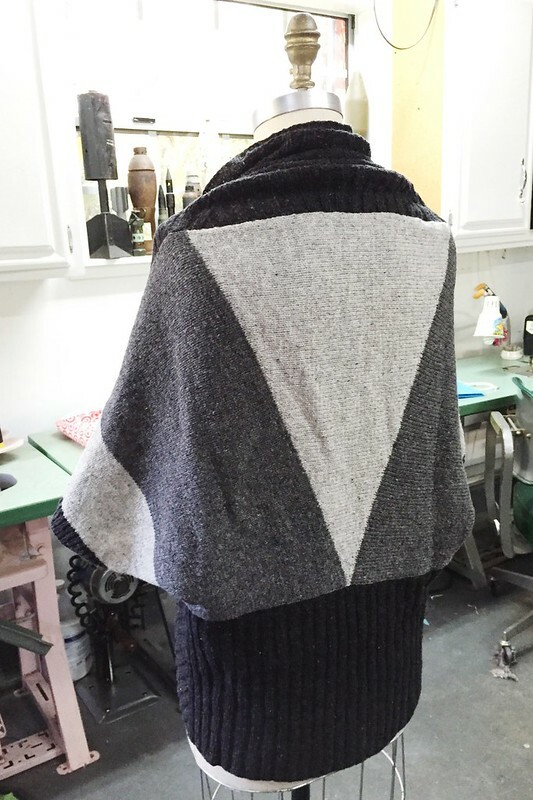 I can finally show off the cowl I made for Andi! For the first round of this swap, Andi and Katie both sent original designs. I… did not. 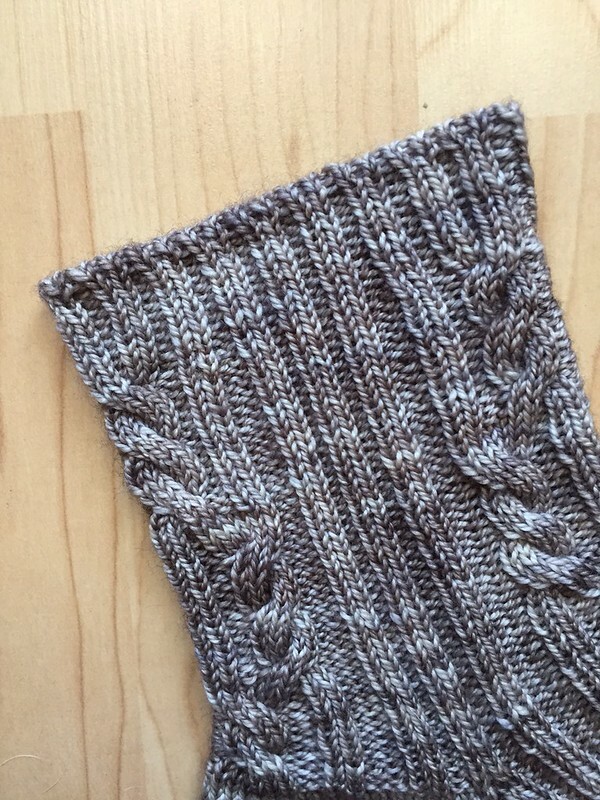 I didn’t want that to happen again so I dug up all my mother’s knitting books and flipped through until I found a stitch pattern that felt right. It took a hot second to make sure everything worked together but I’m so, so pleased with how this turned out. It’s obviously nowhere near as complex as the things they make but it’s still something, right? 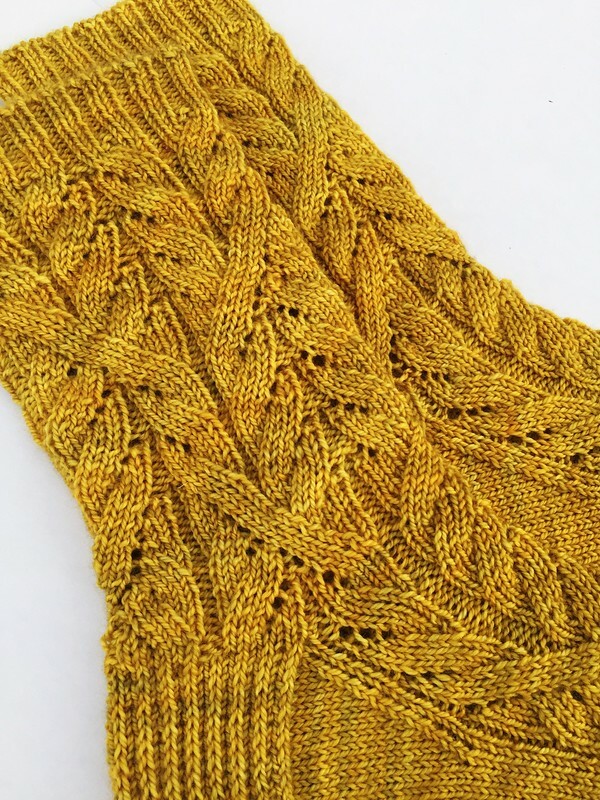 The pattern can be viewed and downloaded on Ravelry here . OH YEAH AND IT’S FREE. 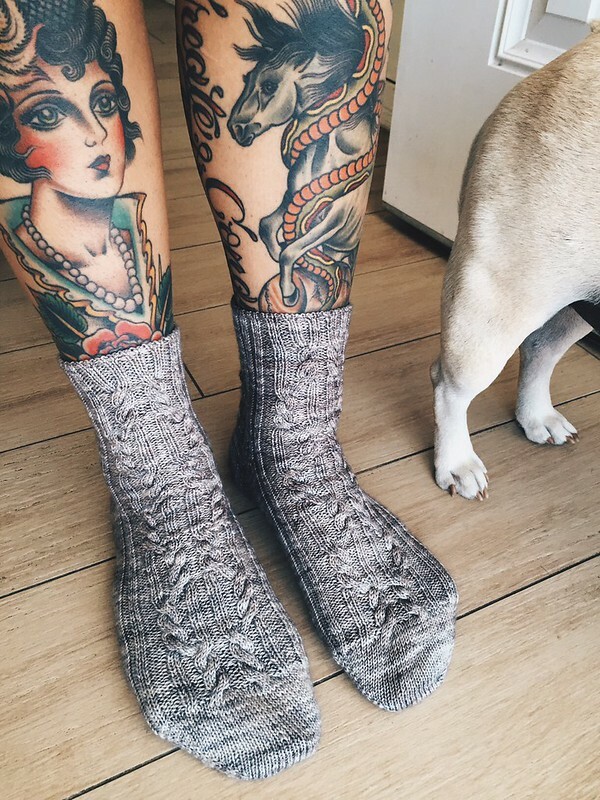 These socks are everything and more. I cannot remember the last time I was so stoked on a project and that is sad. 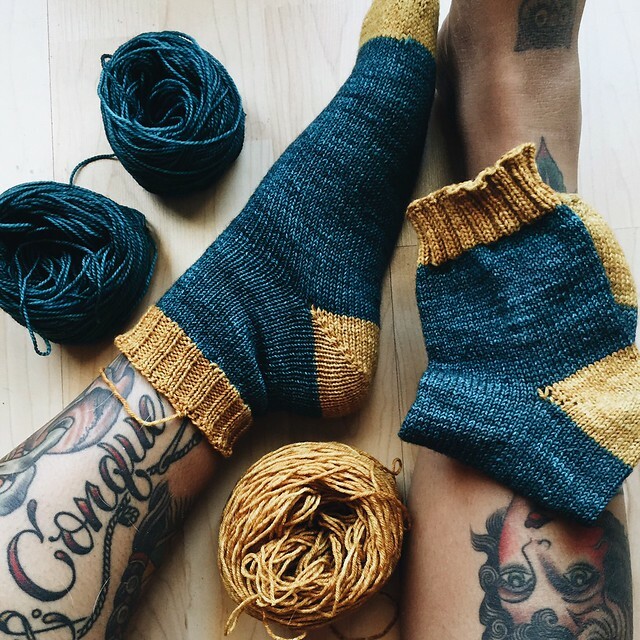 They’re just perfect in every way–from the color, to the yarn, the pattern…the fit! It was my first time making cables without cabling. 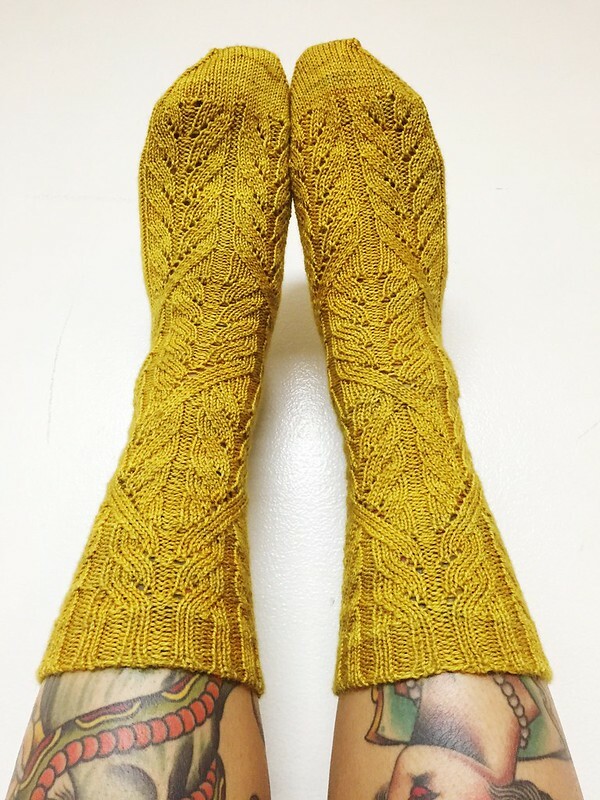 They’re probably not even considered cables but the look is there and was accomplished with decreases and yarn overs. Did not see that coming. 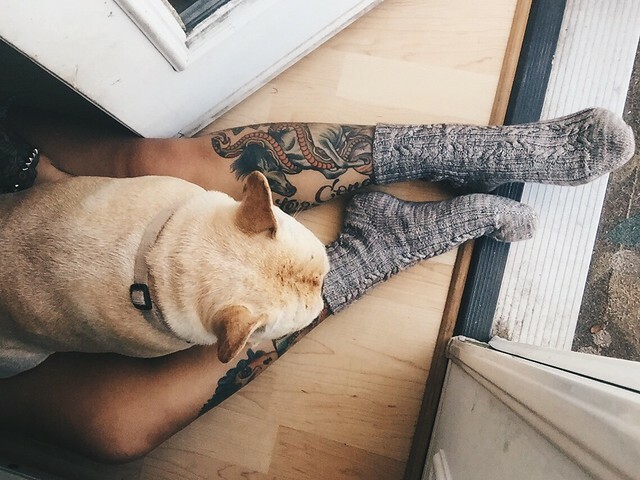 The socks are mirrors of each other which is totally cool, I just didn’t like what I had to do to accomplish that–work one sock more than the other. Granted, it’s only 16 stitches more, but the perfectionist in me died a little. I’m so happy with how they turned out it’s stupid. I don’t even know where to start with this thing. There are so many issues with the fit that if this were a sewn garment, I would’ve already ripped it apart and started a brand new pattern. That’s probably what I’ll end up doing. Instead of making the body one piece that folds over at the edges to make the armholes, I’ll create separate front and back pieces. The neck definitely needs to be dipped on the body and the collar shaping, holy crap, the damn collar shaping. I can’t tell if the designer meant for the edge of the body to sit across the shoulders (first photo below) or lower across the back (second photo). The shaping forces it to sit lower but the model photos show it worn higher. Either way, there’s tons of bubbling and excess fabric where there shouldn’t be. I loved the idea of this garment but the pattern execution was just terrible. As for Loft, it’s okay. 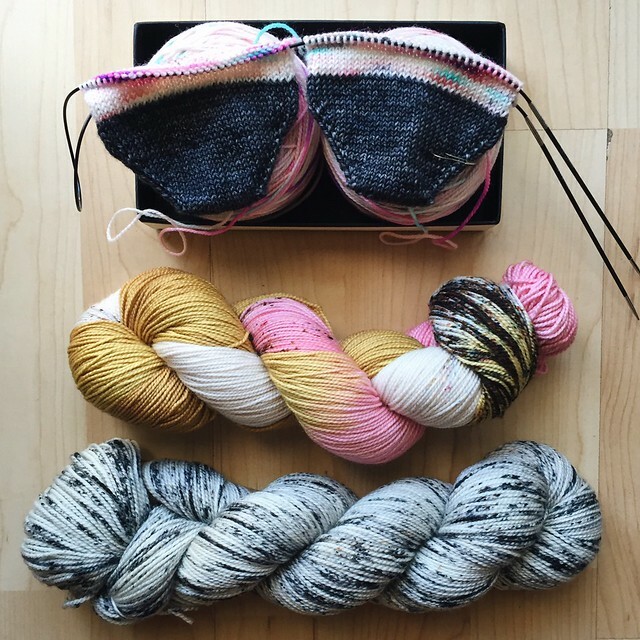 I love the color options but prefer yarn that has more weight to it. The darker color broke more often than the lighter colors and was also less consistent in width. I didn’t have a great time knitting with it but I was expecting far worse after some of the reviews I read. Mannnnn, I set myself up for disappointment, didn’t I?